What is iOS 8 Backup File? Currently, updating iOS devices like iPhone, iPad, iPod to iOS 8 is a trend among app developers and those people who want to get new and updated features. Like we all know, before you choose to update your iDevice, you'd better get well prepared. Do you still remember a lot of people lost their data after updating to iOS 7 last year? Yes. The most important preparation is to back up your iPhone, iPad, iPod before updating iOS 8 because you can't ensure its stability. Most of you may choose to back up your iDevice on your computer through iTunes. So this is the so-called iOS 10/9/8 backup file. 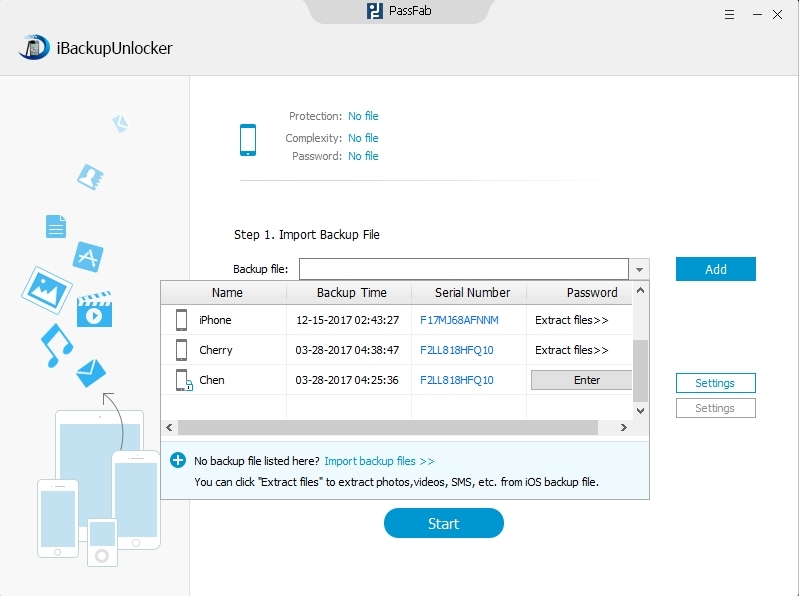 Why Need iOS 8 Backup Unlocker? In the process of backing up your iDevice, you can encrypt your iOS 8 backup file. This password is to unlock your iPhone, iPad, iPod backup file and can protect your Privacy. 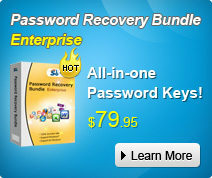 But once you forgot the password, you can no longer restore the encrypted backup file to any device. 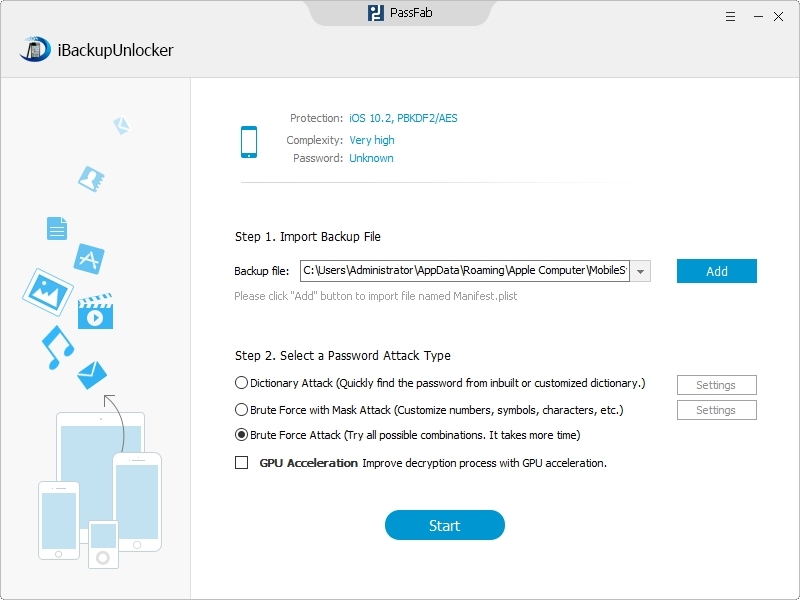 All you have to do is apply the iOS 8 backup unlocker to crack the backup password. Thus, it can unlock iOS 8 backup file and you can have the access to restore from it again. Here we recommend the best iTunes Backup Password Recovery. How to Use iTunes Backup Password Recovery to Unlock iOS 8 Backup File? 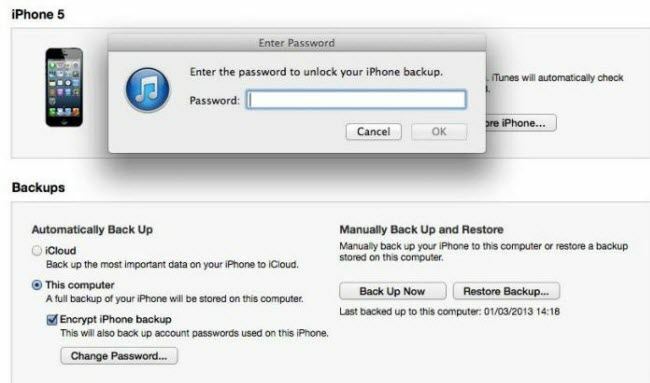 iTunes Backup Password Recovery enables you to recover the forgotten backup password for iOS 8 devices (iPhone, iPad, iPod). With the advanced three types of attack, you can get back the password in only several clicks. Note: The location of the backup file differs from the Windows OS you are running. Step 2. Specify one attack according to its function. Step 3. Click "Start" to begin the process of unlocking iOS 8 backup file. Thus, you have recovered the iTunes backup password for iOS 8 devices with iTunes Backup Password Recovery successfully. Now you can choose to restore from the backup freely.